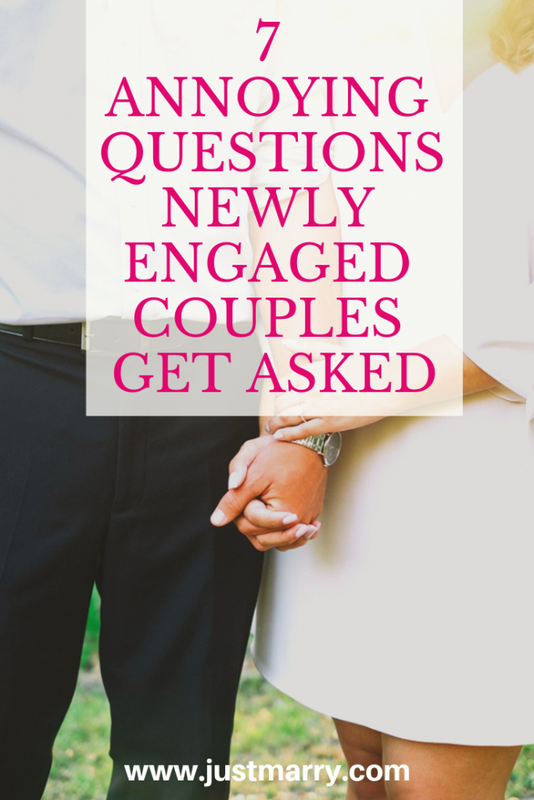 7 Annoying Questions Newly Engaged Couples Get Asked | Analyzing - Orlando Wedding Planners | Just Marry! February 6, 2019 by Just Marry! Newly engaged? Congrats! This is going to be an exciting time of celebrations, plans, and (of course) many questions. Some of the questions you hear may seem harmless, while others may stress you out. Combine them all together and you could find yourself feeling overwhelmed and unsure how to answer. We’re here to help! Today we’re featuring seven annoying questions newly engaged couples get asked and how to answer them. Let’s get to it! #1 - WHEN'S THE DATE? This is a common question for the newly engaged. You may or may not have the answer. That is totally okay! For those of you who know your wedding date, feel free to reveal it or keep it under wraps. For couples still debating, it’s fine to tell people that you’re still nailing down a date. Let them know you’ll send out a Save the Date so they don’t miss a thing! Once you share your date, be prepared for people to offer comments or opinions. For me, I was told that 2020 was too far out. People asked how I could wait that long. While I might have agreed, it still added pressure to pick a closer date. No one likes that feeling! Remember this is your day. You set the timeline for planning. #2 - WHERE'S THE WEDDING GOING TO BE? You may have the answer to this question. On the other hand, maybe you’re toying with a destination wedding or a winter wedding in a snowy climate and are hesitant to tell people. Don’t worry…you can wait until you’re ready to share this detail! This answer provides a clear statement that the two of you still need to discuss your location. The only people who truly matter are the two of you, after all! 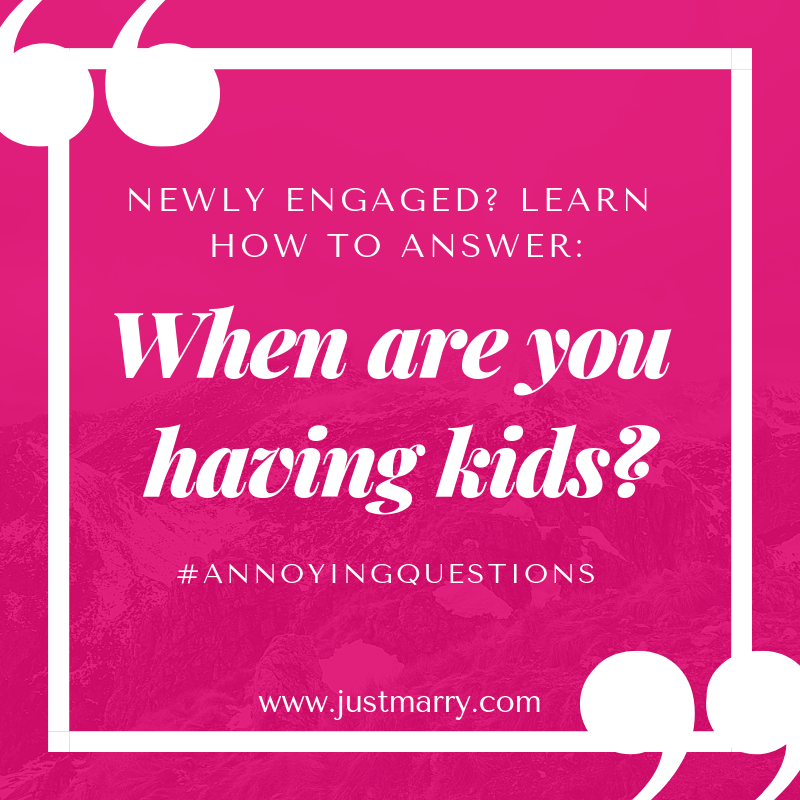 #3 - WHEN ARE YOU HAVING KIDS? This was one of the questions I got when first planning my wedding. Seriously, about three days into my engagement! This question knocked the wind out of me. I didn’t know what I was having for dinner that night, never mind how many kids I was planning to have and when! #4 - WHO'S IN THE WEDDING PARTY? This question can be awkward if it’s coming from someone hoping they’re going to be asked. In your early stages of planning, you may not know who you’re going to invite to be in your wedding party. Perhaps you want to keep it a surprise so you can ask in a special way. A great way to answer this question is to say that you and your future spouse will be making this decision together. This is something important for the two of you to decide on unanimously. #5 - ARE YOU TAKING HIS/HER LAST NAME? This is an age-old tradition that many of the newly engaged are now ditching after hitching. Others might modernize it with a hyphenated name. For those of you who plan to take your significant other’s name, this question is easy to answer. You’re honored to take his/her name. You might also be like me. I’m looking forward to advancing in the alphabet (in my case from Z to P!). #6 - WHEN SHOULD I EXPECT MY INVITATION? This was a question I got from a few people I had grown apart from or who I realized were only there for things like this – getting an invitation to a wedding. 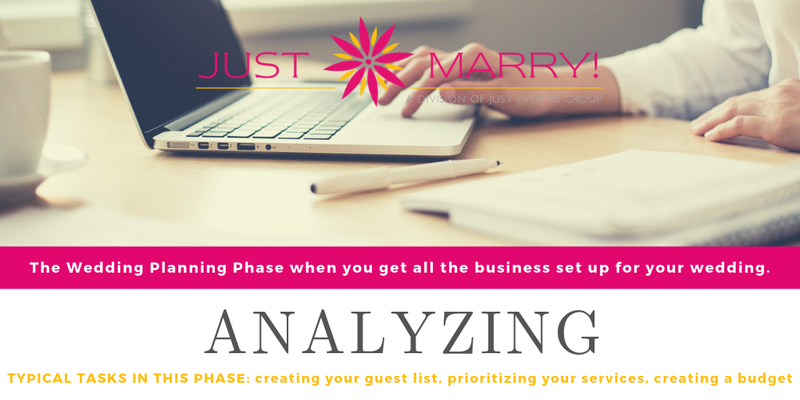 While it’s sad to realize that you’ve grown apart from someone, narrowing your guest list is a critical part of wedding planning. These are the folks you shouldn’t feel obligated to invite. #7 - HOW CAN I HELP? While it is so wonderful that everyone wants to help the newly engaged, I found myself wanting everyone to back off a bit. I didn’t even know what I needed help with yet! When the big day arrives, be sure to ask for help if you need it. Don’t worry, there will be plenty of help needed and you can absolutely tell your guests that! With so many questions coming your way, know it is okay to say no. Feel free to stand your ground on your decisions. This is YOUR day, so make it everything you want it to be. Don’t let anyone take that away from you by asking too many questions or changing how you feel about something. NEWLY ENGAGED? 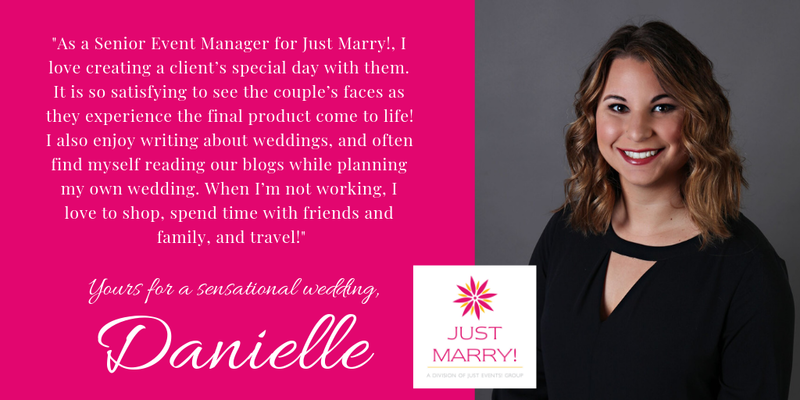 JOIN THE JUST MARRY! FAMILY! 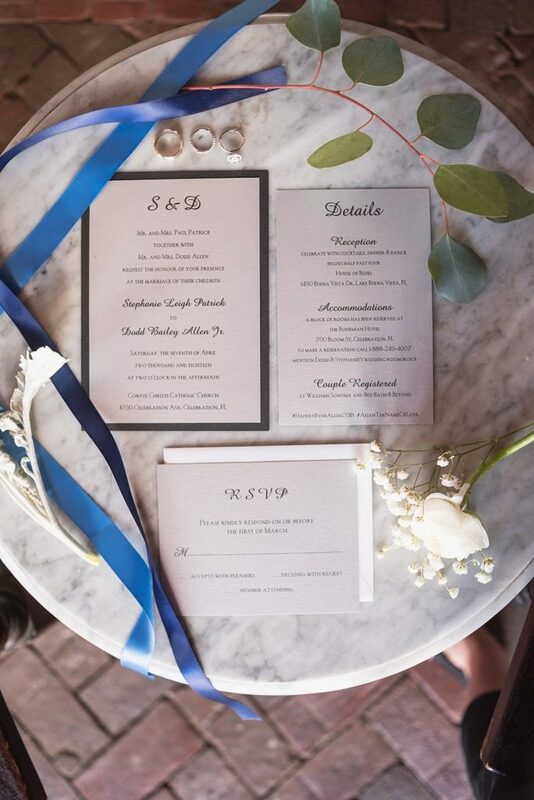 If you’d like more personalized help with any questions you are experiencing during your wedding planning or would like to speak with one of our planners, simply complete the form below and we’ll get back to you right away. We’d be happy to customize a planning option that will allow you to enjoy every moment of your planning and your wedding day! 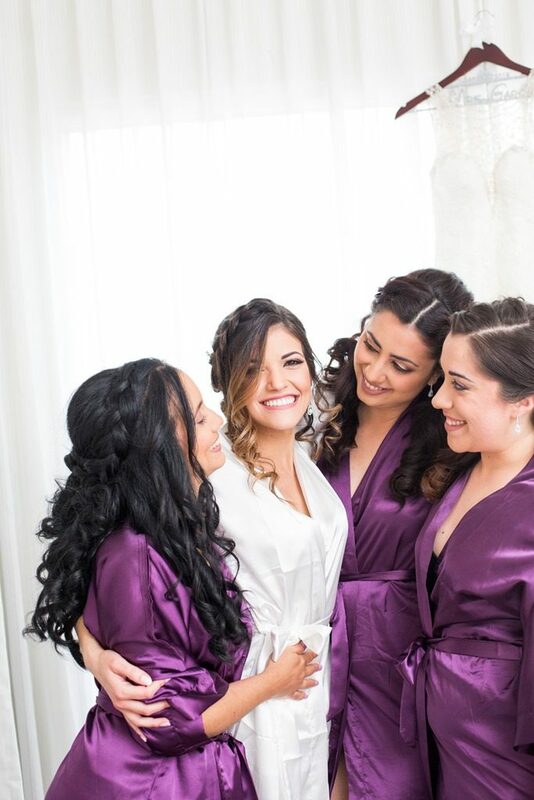 Let's discuss your dream wedding!